At our cosmetic, restorative, and general dentistry practice, Dr. James Altomare carefully selects every treatment he provides with the comfort, safety, and overall satisfaction of his patients in mind. When it comes to dentures, he has found that Valplast® flexible dentures offer quality of the unsurpassed standard that he demands for his patients. He is pleased to offer Valplast® dentures to patients who are missing most or all of their teeth on one or both of their arches. Although Valplast® restorations are made from only the finest materials and are constructed to provide years of wear, patients must care for them properly to get the very most out of them. This is why Dr. Altomare discusses Valplast® dentures aftercare in detail during consultations at his Skillman, NJ dental office. He wants patients to understand fully what they are committing to before they proceed with any treatment. Are you a good candidate for Valplast® flexible dentures? To find out, we invite you to schedule your initial consultation with Dr. James Altomare today. The Valplast® appliance comprises two basic components: the base material and the synthetic teeth embedded in it. The base material is extremely strong and durable. It will not break or otherwise be damaged if it is accidentally dropped. The synthetic teeth, however, are a bit more fragile and could be damaged if the appliance is dropped. Therefore, great care should be taken in handling your Valplast® dentures. Keep your Valplast® dentures out of reach from pets and children. Pets may find your dentures to be irresistible as a chew toy, while children may simply find your dentures to be fun to play with. It is important that you keep your Valplast® dentures clean by soaking them regularly in the special Val-Clean Concentrated Denture Cleaner. This cleaner is specially formulated to clean your Valplast® dentures safely, efficiently, and effectively. Simply soak your dentures in Val-Clean for between 10 and 15 minutes every day. Alternatively, you can soak them in Val-Clean overnight three nights a week. Before soaking, rinse your dentures gently in water to remove any food particles. It is important that you do not use toothpaste to clean your Valplast® dentures. You may occasionally use a soft-bristled toothbrush to remove any build-up or particles that form on your dentures over time. Even then, a toothbrush should be used very sparingly as it could remove the polish and roughen the surface of your appliance if used too often. 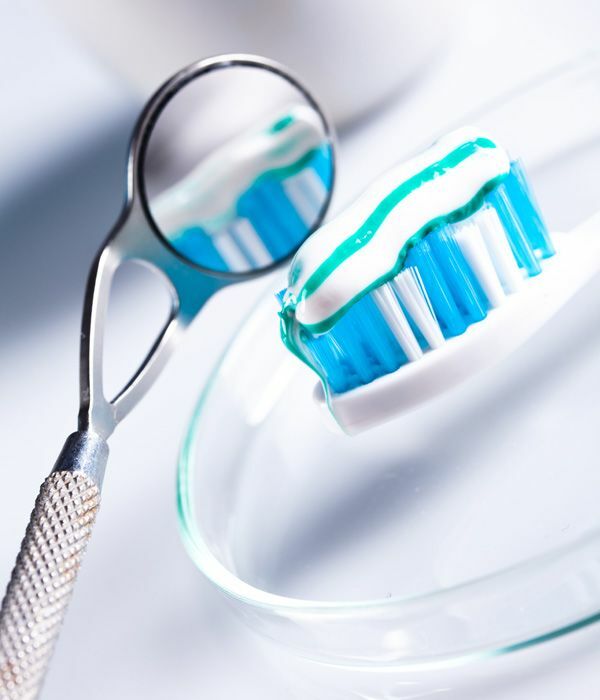 If you have partial Valplast® denture, be certain to remove them before brushing your natural teeth with toothpaste. Contact our office immediately if you experience any discomfort from your Valplast® dentures or if you notice anything wrong with your natural teeth or gums. To learn more about Valplast® dentures aftercare, or to find out whether you are a good candidate for Valplast® dentures, please contact our cosmetic, restorative, and general dentistry practice today.